Eye 1946 by M.C. 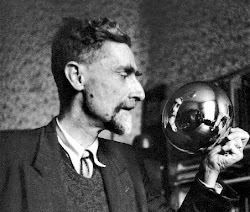 Escher, Mezzotint and drypoint, shows his own eye, which was greatly magnified by a convex shaving mirror. 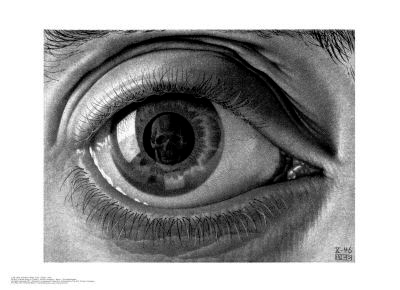 The center of his pupil reflects a skull. He is teasing us with the one who watches over all of us, the fate of each of us, death. 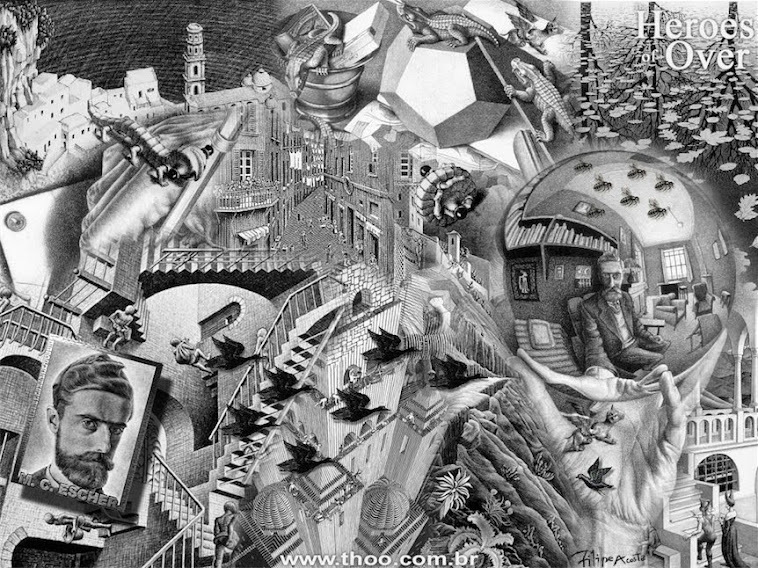 Click here to watch a video of Escher creating this piece!